Ulrich Müller. Born in 1940 in Bogotá, Colombia. School attendance in Bogotá, then in Elizabeth, New Jersey, and finally in Fellbach, Germany. Studied chemistry at the Technische Hochschule in Stuttgart, Germany, obtaining the degree of Diplom-Chemiker in 1963. Work on the doctoral thesis in inorganic chemistry was performed in Stuttgart and at Purdue University in West Lafayette, Indiana, in the research groups of K. Dehnicke and K. S. Vorres, respectively. The doctor's degree in natural sciences (Dr. rer. nat.) was awarded by the Technische Hochschule Stuttgart in 1966. Subsequent post-doctoral work in crystallography and crystal structure determinations was performed in the research group of H. Bärnighausen at the Universität Karlsruhe, Germany. Appointed in 1972 as professor of inorganic chemistry at the Philipps-Universität Marburg, Germany, then from 1992 to 1999 at the Universität Kassel, Germany, and since 1999 again in Marburg. Helped installing a graduate school of chemistry as visiting professor at the Universidad de Costa Rica from 1975 to 1977. Courses in spectroscopic methods were repeatedly given at different universities in Costa Rica, Brazil and Chile. Main areas of scientific interest: synthetic inorganic chemistry, crystallography and crystal structure systematics, crystallographic group theory. 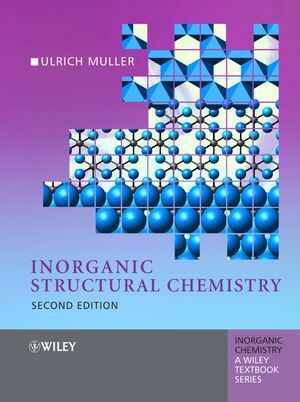 Co-author of Chemie, a textbook for beginners, Schwingungsspektroskopie, a textbook about the application of vibrational spectroscopy, and of Schwingungsfrequenzen I and II (tables of characteristic molecular vibrational frequencies); co-author and co-editor of International Tables for Crystallography, Vol. A1. 2 Description of Chemical Structures. 4 Polymorphism and Phase Transitions. 5 Chemical Bonding and Lattice Energy. 6 The Effective Size of Atoms. 8 Molecular Structures I: Compounds of Main Group Elements. 9 Molecular Structures II: Compounds of Transition Metals. 10 Molecular Orbital Theory and Chemical Bonding in Solids. 11 The Element Structures of the Nonmetals. 13 Polyanionic and Polycationic Compounds. Zintl Phases. 14 Packings of Spheres. Metal Structures. 15 The Sphere-packing Principle for Compounds. 17 Packings of Spheres with Occupied Interstices. 18 Symmetry as the Organizing Principle for Crystal Structures. 19 Physical Properties of Solids. 21 Pitfalls and Linguistic Aberrations. In this second edition of this popular textbook, the text has been revised and new scientific findings have been taken into consideration. For example, many recently discovered modifications of the elements have been included, most of which occur at high pressures. Particular attention is given to the treatment of symmetry throughout the book. New sections deal with quasicrystals and other not strictly crystalline solids, with phase transitions and with the electron localization function. There is a new chapter on nanostructures.